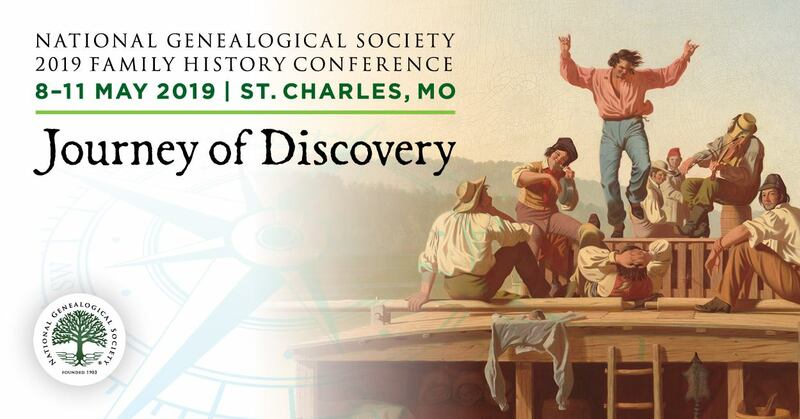 Today NGS offers the fourth in the Voices of Genealogy series celebrating the 100th anniversary of the National Genealogical Society Quarterly and the great genealogists of our time. This is also the fourth in the series featuring editors of the major US genealogical journals. In “Becoming a Genealogist” David L. Greene, PhD, FASG, tells the story of how he discovered genealogy through his grandmother’s DAR papers, massive charts that looked like “basketball playoffs” groupings, and how he eventually became co-editor of The American Genealogist (TAG). The American Genealogist is the country’s oldest independent genealogical journal. Inspired to create “good genealogy” after reading TAG and other genealogical journals’ articles, Greene describes his journey to becoming co-editor of The American Genealogist in 1984 by studying writers like Mary Lovering Holman and her careful explanations of how a conclusion was reached and Milton Rubicam, who he considers may be the best editor in the field of genealogy. Dr. Green has now continuously co-edited TAG for twenty-eight years. In a future episode Dr. Greene will describe his own research, notably his studies of the personalities involved in the Salem witch trials. To enjoy the interview, visit http://www.ngsgenealogy.org, log in, click the Members Only tab, and then click the Videos link in the menu on the left of the screen. The video interviews represent just one of the many opportunities NGS offers its members for becoming successful genealogists. Members receive the society’s outstanding quarterly publications, The National Genealogical Society Quarterly and the NGS Magazine, and can also take advantage of free courses and significant discounts on publications, courses, and the NGS annual conference to be staged in Cincinnati 9–12 May 2012 and in Las Vegas 8–11 May 2013. Why can't I find my grandmother's passport? Fold3: All WWII Content Free Through April 30!